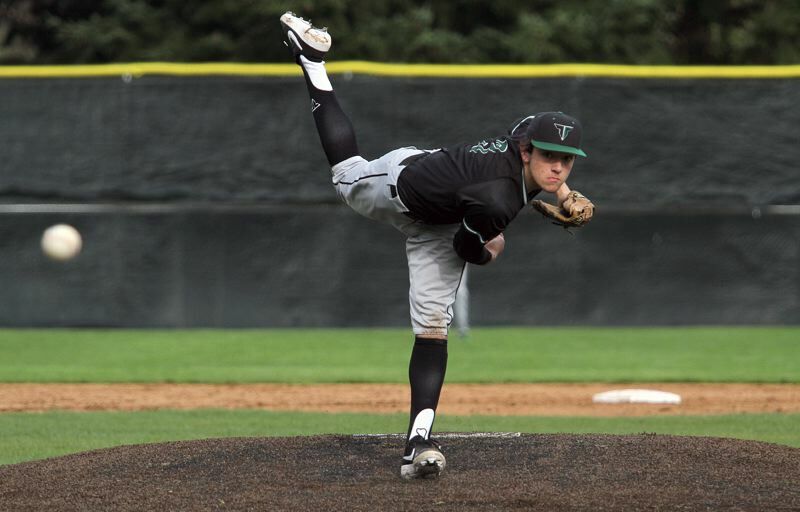 After losing its Three Rivers League opener, the Tigard High School baseball team has stormed back — in a very big way. The Tigers, after dropping a 3-2 decision at home against Lakeridge in league-opening game on April 2, came back strong to beat the Pacers in the next two games of the series. That started with a come-from-behind 5-3 eight-inning win at Lakeridge on April 3. In that game, the Tigers trailed 3-2 going into the top of the seventh, before tying the game when senior Cameron Laroche singled in senior Caden Stinson with two outs in the frame. Then, in the top of the eighth, senior C.J. Hilgaertner reached base on an error with one out, Lakeridge pitcher Spencer Santana then hit Sam Gerkman and then issued back-to-back walks that forced Hilgaertner home with the go-ahead run. Hayden Moore came on in relief next, but Tiger senior C.J. Rivers notched an RBI groundout to give his team a 5-3 lead. In the Pacers' final at-bat, facing Tigard senior reliever Bobby Carter, Spencer Gore drew a one-out walk, but Carter then got both Cody Taylor and Clayton on consecutive fly balls to end the game. For the game, the Pacers managed just two hits, five walks and two hit batters while striking out eight times against senior starting pitcher Lance Kreisberg and Carter. Rivers went 3 for 5 at the plate with two RBIs and Ahl was 2 for 3 with a double and a homer. 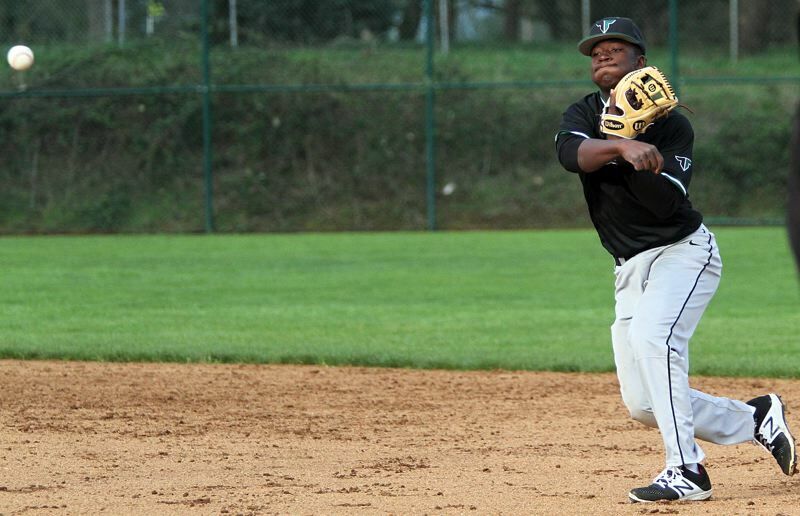 Tigard then got a 9-4 win over the Pacers in a series finale played Friday at Tigard High School. Kreisberg led the offensive attack in that game, going 3 for 4 at the plate with a double, a run scored and an RBI. Junior Tyler Penn went 2 for 4 with a run scored and two RBIs. Laroche went 2 for 4 with two runs scored and an RBI. Junior Ethan Clark went 2 for 3 with two runs scored. Hilgaertner doubled, scored a run and drove in two. Sophomore Josh Schleichardt had a hit and scored twice. Rivers scored a run and drove in a run. Gerkman picked up the pitching win. In five innings of work, he gave up four runs (three earned) on seven hits, while striking out two and walking four. Carter threw two scoreless innings in relief, striking out three. On Monday, Tigard opened a three-game series with Oregon City by getting a 4-2 win over the Pioneers in a game played at Tigard High School. Rivers was the winning pitcher in that game, turning in a complete-game performance. He gave up two runs on four hits, while striking out eight and walking three. He also tripled and drove in a run in the victory. Kreisberg went 3 for 3 with a double and a run scored. Schleichardt doubled, drove in a run and scored a run. Ahl and Hilgaertner each had a hit and scored a run. Clark drove in a run. With the three straight wins, the Tigers improved to 3-1 in TRL play (7-4 overall), putting them in a tie with Tualatin and West Linn for first place in the league standings. Tigard will host Oregon City in the second game of the teams' series Wednesday, starting at 4:30 p.m. The series will end on Friday with a 5 p.m. game at Oregon City. On Tuesday, Tigard will play at Beaverton in a non-league game starting at 5 p.m.